A third of C-suite executives say they aren’t confident that they’re doing enough to capitalize on AI and analytic technologies, and with good reason. According to a recent Forbes survey, firms at the forefront of technology adoption were 2x more likely to see revenue gains of 7% or more in just the past year compared to those lagging behind. So how can companies lagging behind in digital transformation initiatives avoid getting left in the dust? 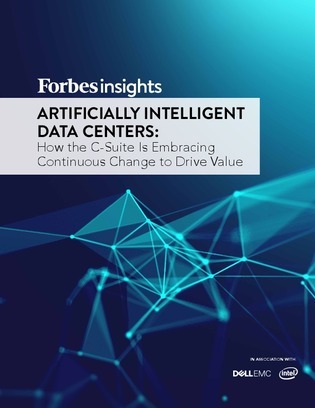 Download this report from Dell EMC and Intel® to find out how C-suite executives are reacting to the slew of technology and market disruptions beckoned by AI and blockchain, while also bracing their data centers for the future. Learning from the success of these front-runners, you’ll also find the three best practices designed to steer your IT modernization in the right direction.